My project draws attention to an ironical situation, in New Delhi, India. When cars slow down to stop at traffic lights in the city, groups of poor women and children, rush towards the swanky sedans, arms full of toys, balloons or flowers, hoping to sell something to the wealthy owners to some how eke out a living. Their desperate eyes and ragged clothes tell sordid tales of what they must endure on the streets. However, they are mostly ignored and shooed away, as these rich people continue to text or tweet in the cocooned comfort of their vehicles. The irony, here, is that many of these upper class people are big philanthropists who generously support legitimate charities. They choose not to reach out to these street children as they are controlled by local mafia who coerce them into a life on the roads, and usurp most of the profit. Nevertheless, these are children, who have a right to a decent life and need to be rescued. I too, belong to this wealthy upper class, and have been guilty of doing the same thing in the past. I have chosen to photograph this situation from the inside of my car, capturing heart-wrenching scenes through the window as they implore me to buy their wares. I have photographed myself, seemingly unmoved, as they knock relentlessly at my window begging me to look at them. “ Unseen”, … even by those who regularly reach out to the underprivileged. Shoba Jolly, a passionate photographer, loves capturing and presenting poignant slices of life. Her vivid and endearing images tell stories about people and places with lasting impact. Interesting facets of life caught candidly on the streets is her special skill and forte. Shoba aspires to create evocative photographs that provoke introspection on issues that concern us as global citizens. 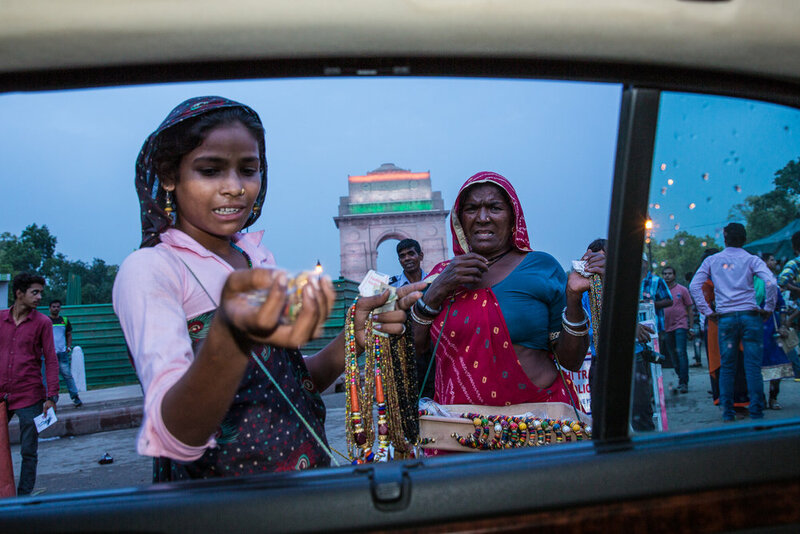 Her most recent project, shot over more than eight months, concentrates on capturing powerful visual images of the misery of innocent street children who are forced to beg or sell toys and flowers at traffic lights in New Delhi. 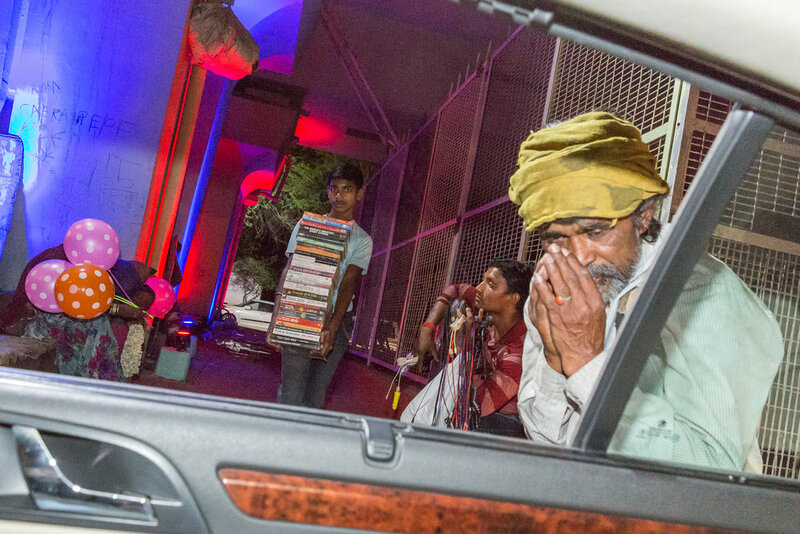 Her photographs highlight how the wealthy classes in Delhi ignore these street children even though many of them are philanthropists who generously support organized social work. Shoba has had numerous very successful photography exhibitions at renowned galleries in India as well as showcased her work at the internationally recognized INDIA ART FAIR in 2017 and 2018. Her work has been well covered by the media and established newspapers such as The Hindustan Times, The Hindu and the Deccan Herald. Shoba was awarded the BR AMBEDKAR NATIONAL AWARD in August this year for her contribution to the Arts.